Have you ever thought about how many places you’ve visited in your own country? At the beginning of September 2017, I am off on my travels. But this time, I’m not catching a plane or even a train. I’m off on a mini adventure, driving solo around the beautiful United Kingdom, visiting all our National Parks. Sometimes I hear people say, ‘I can’t afford to travel’ or ‘I don’t have the time’. The idea behind my challenge is to inspire you to travel more in your own country. Travelling isn’t always about jetting off to some far away destination. It can be experiencing what’s on your very own doorstep! And that might be a day trip, a weekend away or even longer if you’re lucky. But look around and see what your own country has to offer before worrying about those expensive flight tickets! I totally admit I have been very fortunate to travel as much as I have. Over the last 8 years (I was a late starter!!). I’ve visited many beautiful countries. However, when I think about how much of the UK I have visited, it’s very little. And there are some awesome places to visit here. Another reason I wanted to do this challenge is to show the UK off to the rest of the world. I’ve met many people on my travels that have visited the UK. Everyone seems to have visited London but not travelled much further. I know London is awesome, but seriously we have so much more to offer! Want to know more about my plans? Then read on and I will tell you where my adventure will take me. where am I going on my UK road trip? My trip will take me to all 15 National Parks in the UK. Yes, we have 15, can you believe it. Such a small country and all those pretty places to visit! Plus a bonus stop to climb the UK’s highest mountain ‘Ben Nevis’ in Scotland. An adventure that’s been on my Bucket List for some time. So fingers crossed the weather behaves itself. I will be spending time in each National Park. An outdoor adventurer at heart. I love my hiking and have done some awesome treks around the world. Including summiting Mt Kilimanjaro in Tanzania 2012, trekking the Atlas Mountains in Morocco’s and climbing Mt Toubkal. And my trip to Nepal hiking the wonderful Annapurna Circuit in the Himalayas. But now it’s time to put on my hiking boots and walk some more miles in the UK. What’s my route to visit all the UK National parks? This is a rough plan of my route. Of course, depending on who I meet or how much I’m enjoying a particular Park it might change a bit. But hey, it just gives you a flavour of what I’m going to be doing. My drive will take me on a full circuit around the UK. Clocking up over 1,700 miles/ 2,735 km. Probably more, as I’m bound to get lost at some point! From my home city in Nottingham, I will start by travelling north to my first stop ‘North York Moors‘. And then gradually making my way up to the two National Parks in Scotland, a massive 387 miles from my starting point in Nottingham. After Scotland’s delights, I will start travelling back south via the three stunning National Parks in Wales. And continue down until I reach my furthest point south 281 miles from my home, Dartmoor National Park. Lastly, I will drive along the south of the UK and make my way up to the last stop ‘Broads‘ in Norfolk. I’m taking on this challenge in two stages. Why might you ask? Because halfway through the ‘Robin Hood Half Marathon’, in my home city Nottingham takes place. And I’ve run it for the last 7 years so it’s kind of a tradition now!! Haha! But that’s the beauty of the UK, it’s pretty small so easy to travel around. What hiking trails will I be walking? Mostly, I will be doing day hikes, varying in difficulty levels. Although I’m taking my little one-man (one-woman) tent for any longer options I’d like to do. I’ll try and give options for shorter and longer walks where possible. A couple of hikes that are already on my list are climbing – Snowdon in Snowdonia National Park, Scafell Pike in the Lake District and Ben Nevis in the Grampians. 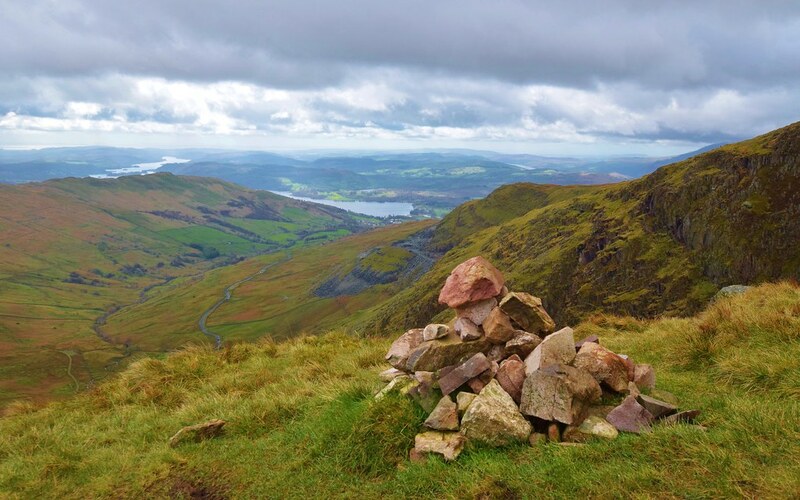 These can also be done as a mini challenge known as the National Three Peaks Challenge. I would love to hear your recommendations for any hiking trails you think I should do. Please drop me an email or let me know suggestions in the comments below. During my road trip, I will be staying at a mixture of campsites, hostels and Bed & Breakfast/Guesthouses. The idea is to show a range of the accommodation options in and around each National Park. And how you can visit the UK whatever your budget. What essential items will I be taking with me? Haha kind of obvious I will be taking clothes, I’m sure you’re pleased to hear!! In the UK you need to be ready for any weather. So I will have a full range of warm and waterproof clothes to suit whatever the weather throws at me. I don’t know where I will be from day-to-day. So my Vango Banshee tent, sleeping bag and little cooking stove will be coming along. Plus a good supply of emergency food and snacks. Hopefully, I won’t have to do too much shopping on my trip. There are some wonderful walks in the UK. And a lot of them are pretty well signposted. But that doesn’t mean I won’t be taking maps with me wherever I go. I have a Nikon 3300 which will be coming on my trip. Along with a tripod to capture me in action too! How can you follow my Challenge? Every day I will be sharing my journey on social media. Whatever the weather, I will be showing you how you can enjoy the stunning UK. Start following my travels now and look forward to seeing what the beautiful UK has to offer. Listen on BBC Radio Nottingham – I will also be chatting with Mark Dennison from BBC Radio Nottingham during my trip. I will keep you posted when I will be dialling in. I’m so excited to see your upcoming posts about these trips! One of the trips I’d like to take within the next year or two is a trip around the UK as a whole, and I’m more interested in hitting cities in England other than London. Wow! I haven’t hiked in the U.K., but this looks like something I may have put on my “to do” list! I look forward to reading about the “tales of your trails” when you finish! I’m also going to check out your other hiking posts! Wow, what a cool idea. I’m currently heading back to London from a 16 days road trip from Scotland and I’m sadly back to work on Monday. I love hiking in the UK, and visiting the National Parks. Like you said, there are so many. I have visited 7 so far. I can’t wait to return to some and to explore new ones. Good luck on your challange! I will follow your adventure and use it as inspiration for my upcoming trips. Wishing you good weather! Rainproof trousers, boots and coat are a must! ah that’s wonderful Eniko, 7 is a pretty good start! Which ones have you done? Yes I’m keeping my fingers crossed for the weather but I’m sure there are going to be a few days with rain! Whoa! And, WOW! I’m absolutely blown away by the list of hiking spots you’re planning on visiting in the UK. Def something to keep in mind the next time I’m in the UK! This looks fabulous! I lived in the UK for 2 years and didn’t get to all these places. 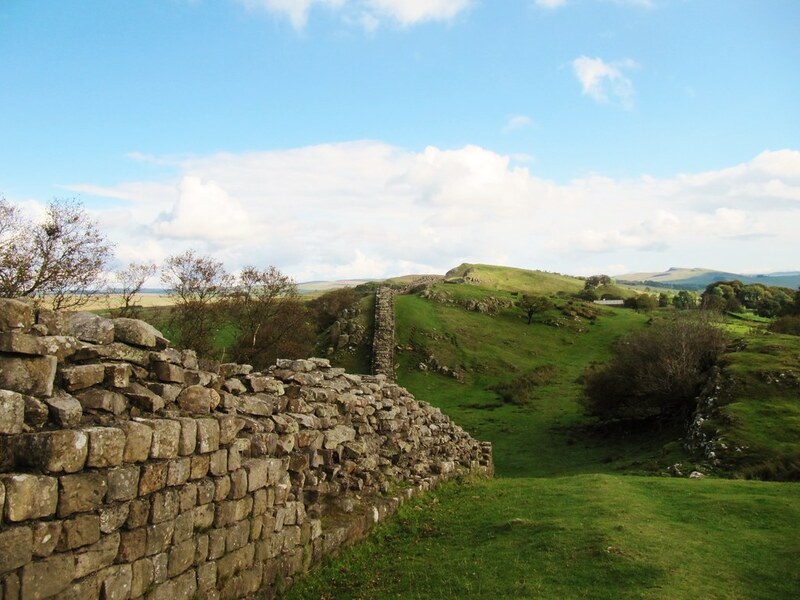 I do still regret missing out on Hadrian’s wall. Cannot wait to see how you do! This is so awesome! We were living in England last year, but definitely didn’t get around as much as we should have. We went back a few months ago and took a trip to the Lakes District. So gorgeous! We recently moved back to California, and we’re trying to visit as many National and State parks as we can. Good luck on your adventure! ah wow that sounds so much fun Kelly. I guess it would take a lot longer to make it round all the ones in the US!! What a fun idea! I’ll be following along to see how it goes! I absolutely love this. What a brilliant idea to showcase everything the UK has to offer. I’m sure it will be an amazing adventure and I cannot wait to read your updates.